Just a few minutes before the day starts. 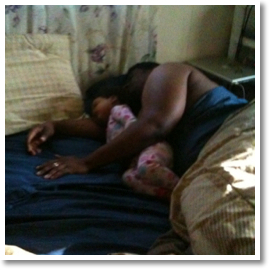 Kung Fu Baby kicks and punch and everything in between while co-sleeping with us!.. lol! but still! I LOVE IT! I love having her in bed with us. The 3 am kidney kick not so much but I love feeling her snuggle up.